The University of Washington School of Dentistry is doing a research study on a computer program to help reduce dental fear, focusing on common dental situations. 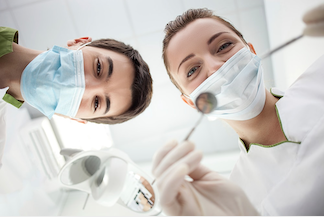 You will read five different brief descriptions (1-2 sentences) of situations that sometimes happen in a dental office. You will be asked to write a short explanation of what you think is happening in each of these situations. You will then read two different explanations of the situation and will answer a few questions about how likely you feel each explanation is. You will also be asked some questions about yourself and how you feel about going to the dentist and receiving dental care. This survey should take about 20 minutes of your time to complete. Filling out this survey is completely voluntary, and you do not have to answer any questions you do not want to answer. You may withdraw or refuse to participate without any loss of benefits to which you are otherwise entitled. If you decide to take part, you will be one of about 1500 people participating. For your participation, you will have the opportunity to enter your email address for a chance to win one (1) electronic gift card for Amazon.com; there will be four $200 (two-hundred-dollar) cards, five $100 (one-hundred-dollar) cards, and seven $50 (fifty-dollar) cards available for this random drawing among all participants who enter an email address. Each participant entering his/her email address will be eligible to win one gift card. This drawing will be held on or before November 15, 2019, and winners will be notified on or before December 6, 2019 via the email address provided at the time of the study. Your information will be kept confidential, and all identifying information (that is, your email address) will be kept separate from your study data, linked only by a unique study code. The link between your identifier and the research data will be destroyed after the records retention period required by state and/or federal law. There are no anticipated risks from taking part in this study. If you have questions later about the research, or if you feel you have been harmed as a result of participating in the study, you may contact the Principal Investigator, Dr. Lisa Heaton, at (206) 221-6293. If you have questions about your rights as a research subject, you can call the UW Human Subjects Division at (206) 543-0098. * By proceeding with the study, you are confirming that you have read and understood the purposes of this study and what you will be asked to do, and that you are agreeing to participate in the study. You must be over 18 years of age to participate in this study. Please click below to confirm that you are at least 18 years of age. If you are not 18, please exit the study. I certify that I am at least 18 years old and consent to participate in this study. * What is your age in years? * Which of the following best describes your gender? * In which state in the United States is your primary residence? * Which of the following best represents your highest level of education achieved? * How long ago was your last visit to a dentist? * What was the reason for your most recent dental visit? * Please tell us how you feel about the following dental situations. If you went to your dentist for TREATMENT TOMORROW, how would you feel? If you were sitting in the WAITING ROOM (waiting for treatment), how would you feel? If you were about to have a TOOTH DRILLED, how would you feel? If you were about to have your TEETH SCALED AND POLISHED, how would you feel? If you were about to have a LOCAL ANESTHETIC INJECTION in your gum, above an upper back tooth, how would you feel?